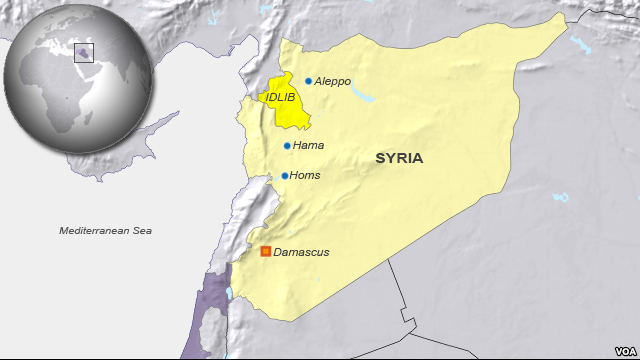 Damascus, Jan 19 (IANS) Around 35 Syrian soldiers have been killed when their plane crashed near a military airbase in the country’s northwestern province of Idlib, media reports said Sunday. The medium-sized cargo plane crashed Sunday evening near the town of Khashir, in the vicinity of the Abu al-Duhur airbase, said the Briain-based Syrian Observatory for Human Rights. Syrian Observatory for Human Rights (SOHR) also said that the incident occurred after the plane hit electricity lines in heavy fog in Idlib Province on Sunday. It also reported that heavy clashes erupted between Syrian government forces and militants of the al-Qaeda-linked al-Nusra Front when they tried to reach the crash site to recover the bodies of those killed . Sources also told SOHR that Iranian nationals were on the plane, though the rights group, which gathers information from a network of sources on the ground in Syria, was not able to confirm that detail. Al-Nusra Front claimed on Twitter that it had shot down the aircraft, but Syrian state media rejected the claim but confirmed the crash. The state news agency SANA confirmed the incident, saying the cargo plane crashed due to bad weather conditions. It added that all crew members were killed.